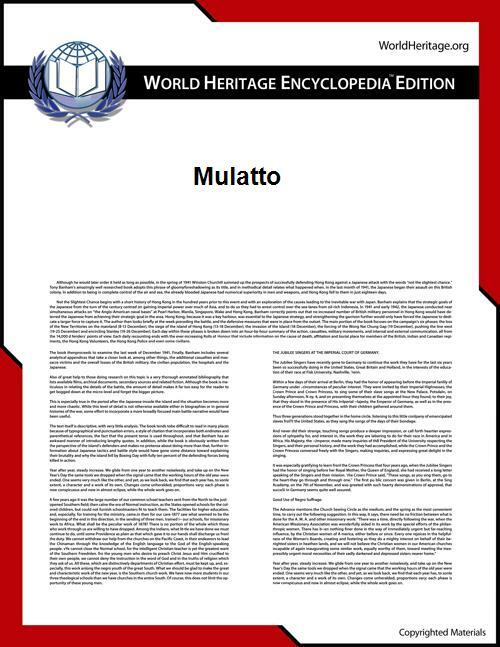 Mulatto is a term originally used to refer to a person who is born from one black parent and one white parent; or to persons of two Mulatto parents. Contemporary usage of the term is generally confined to situations in which the term is considered relevant in a historical context. For instance, in the 21st century, United States people of mixed white and black ancestry seldom choose to identify as "mulatto." The term is considered archaic in the United States by some and largely viewed as pejorative. Accepted modern terms in the United States for people of mixed ancestry include "multiracial" and "biracial." However, these include other racial mixtures and it is still the formal register specific to a black-white mixture. Residents of Spain, Latin America, the Caribbean and some countries in Africa use the term freely, usually without suggesting any insult. In Latin America, most mulattoes are descendants of generational "race-mixing" dating to the slavery period. This is especially true in Brazil, Colombia, the Dominican Republic, Cuba, Haiti, Cape Verde and Puerto Rico, which have the highest proportions of mulattoes. The etymology of the term derives from the Spanish and Portuguese mulato, which comes from mula (old Galician-Portuguese, from the Latin mūlus), meaning mule, the hybrid offspring of a horse and a donkey. Some dictionaries and scholarly works trace the word's origins to the Arabic term muwallad, which means "a person of mixed ancestry". Muwallad literally means "born, begotten, produced, generated; brought up", with the implication of being born and raised among Arabs, but not of Arab blood. Muwallad is derived from the root word WaLaD (Arabic: ولد direct Arabic transliteration: waw, lam, dal), and colloquial Arabic pronunciation can vary greatly. Walad means, "descendant, offspring, scion; child; son; boy; young animal, young one". In al-Andalus, Muwallad referred to the offspring of non-Arab/Muslim people who adopted the Islamic religion and manners. Specifically, the term was historically applied to the descendants of indigenous Christian Iberians who, after several generations of living among a Muslim majority, adopted their culture and religion. Notable examples of this category include the famous Muslim scholar Ibn Hazm. According to Lisan al-Arab, one of the earliest Arab dictionaries (c. 13th century AD), applied the term to the children of Non-Muslim (often Christian) slaves or Non-Muslim children who were captured in a war and were raised by Muslims to follow their religion and culture. Thus, in this context, the term "Muwalad" has a meaning close to "the adopted". According to the same source, the term does not denote being of mixed race but rather being of foreign-blood and local culture. According to Julio Izquierdo Labrado, the 19th-century linguist Leopoldo Eguilaz y Yanguas, as well as some Arabic sources muwallad is the etymological origin of mulato. These sources specify that mulato would have been derived directly from muwallad independently of the related word muladí, a term that was applied to Iberian Christians who had converted to Islam during the Moorish governance of Iberia in the Middle Ages. Scholars such as Werner Sollors cast doubt on the mule etymology for mulatto. In the 18th and 19th centuries, racialists such as Edward Long and Josiah Nott began to assert that mulattoes were sterile like mules. They projected this belief back onto the etymology of the word mulatto. Sollers points out that this etymology is anachronistic: "The Mulatto sterility hypothesis that has much to do with the rejection of the term by some writers is only half as old as the word 'Mulatto.'" Of São Tomé and Príncipe's 193,413 inhabitants, the largest segment is classified as mestiço. 71% of the population of Cape Verde is also classified as such. The great majority of their current populations descend from unions between the Portuguese who settled the islands from the 15th century onwards and the black Africans they brought from the African mainland to work as slaves. In the early years, mestiços began to form a third-class between the Portuguese colonists and African slaves, as they were usually bilingual and often served as interpreters between the populations. In South Africa, the term Coloured (also known as Bruinmense, Kleurlinge or Bruin Afrikaners in Afrikaans) used to refer to individuals who possess some degree of sub-Saharan ancestry, but not enough to be considered black under the law of South Africa. In addition to European ancestry, they may also possess Asian ancestry from immigrants from India, Indonesia, Madagascar, Malaysia, Mauritius, Sri Lanka, China and/or Saint Helena. There was extensive combining of these diverse heritages in the Western Cape, but in other parts of southern Africa, the coloured usually were descendants of two primary ethnic groups - primarily Africans of various tribes and European colonists, with generations of coloured forming families. In KwaZulu-Natal, most Coloureds had British and Zulu heritage, while Zimbabwean coloureds were descended from Shona or Ndebele mixing with British and Afrikaner settlers. Griqua, on the other hand, are descendants of Khoisan and Afrikaner trekboers. Despite these major differences in languages and cultures, in the South African context, they were historically considered "coloured," as descended from more than one "naturalised" racial group. Individuals may personally identify as "black" or "Khoisan" or just "South African". The Coloureds comprise 8.8% (about 4.4 million people) of South Africa's population. In Mauritius, Réunion and the Seychelles, much of the population is mixed race, reflecting a complex history. 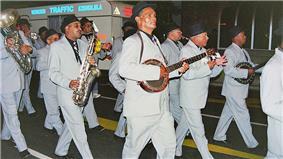 In Mauritius, they are called creoles, and in Réunion they are called cafres. Mulattoes represent a significant part of the population of various Latin American and Caribbean countries: Dominican Republic (73%) (all mixed race people),[nb 2] Brazil (49.1% mixed, Gypsy and Black, Mulattoes(20.5%), Mestizos/mamelucos or caboclos(21.3%), Eurasian(0.2%) and Blacks(7.1%)), Belize (25%), Cuba (24.86%), Colombia (25%), Haiti (15-20%). The roughly 200,000 Africans brought to Mexico were for the most part absorbed by the mestizo populations of mixed European and Amerindian descent. Many of the Africans brought to Mexico were disembarked at the port of Veracruz and were taken to other parts of Latin America. The state of Guerrero once had a large population of African slaves. Other Mexican states inhabited by people with some African ancestry, along with other ancestries, include Oaxaca, Veracruz, and Yucatán. In colonial Latin America, mulato could also refer to an individual of mixed African and Native American ancestry. In the 21st century, persons with indigenous and black African ancestry in Latin America are more frequently called zambos in Spanish or cafuzo in Portuguese. In the United States, due to the influence and laws making slavery a racial caste and later practices of hypodescent, white colonists and settlers tended to classify persons of mixed African and Native American ancestry as black, regardless of how they identified themselves, or sometimes as black Indians. But many tribes had matrilineal kinship systems and practices of absorbing other peoples into their cultures. Multiracial children born to Native American mothers were customarily raised in her specific tribal culture. Federally recognized Indian tribes have insisted that identity and membership is related to culture, and that individuals brought up within tribal culture are fully members, regardless of whether they have some European or African ancestry. . than race, and many have had mixed-race members who identify primarily as of the tribes. If the children were born to slave women, they were classified under slave law as slaves, and more likely raised within the African-American community and considered black. A number of African Americans in contemporary United States have ancestry including some Native American. In a 2002 genetic study of maternal and paternal direct lines of ancestry of 800 Puerto Ricans, 61% had mitochondrial DNA (mtDNA) from an Amerindian female ancestor, 27% inherited MtDNA from a female African ancestor and 12% had MtDNA from a female European ancestor. Conversely, patrilineal direct lines, as indicated by the Y chromosome, showed that 70% of Puerto Rican males in the sample have Y chromosome DNA from a male European ancestor, 20% inherited Y-DNA from a male African ancestor, and less than 10% inherited Y-DNA from a male Amerindian ancestor. As these tests measure only the DNA along the direct matrilineal and patrilineal lines of inheritance, they cannot tell what total percentage of European or African ancestry any individual has. In keeping with Spanish practice, for most of its colonial period, Puerto Rico had laws such as the Regla del Sacar or Gracias al Sacar. A person with African ancestry could be considered legally white if he could prove that at least one person per generation in the last four generations had been legally white. People of black ancestry with known white lineage were classified as white, in contrast to the "one-drop rule" put into law in the early 20th century in the United States. In colonial and antebellum times in certain locations, persons of three-quarters or more white ancestry were considered legally white. If born to slave mothers, however, this status did not overrule their being considered slaves, like Sally Hemings, who was three-quarters white, and her children by Thomas Jefferson, who were seven-eighths white, and all born into slavery. According to the IBGE 2000 census, 38.5% of Brazilians identified as pardo, i.e. of mixed ancestry. This figure includes mulatto and other multiracial people, such as people who have European and Amerindian ancestry (called caboclos), as well as assimilated, westernized Amerindians, and mestizos with some Asian ancestry. 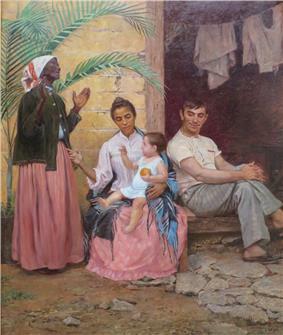 A majority of mixed-race Brazilians have all three ancestries: Amerindian, European, and African. According to the Brazilian Institute of Geography and Statistics census 2006, some 42.6% of Brazilian identify as pardo, an increase over the 2000 census. According to genetic studies, some of those who identify as White Brazilians (48.4%) also have some mixed-race ancestry (both Subsaharan African and Amerindian ancestry), not surprising given the multiracial history of this country. Brazilians who identify as de raça negra or de cor preta, i.e. Brazilians of Black African origin, make up 6.9% of the population; genetic studies show their average total ancestry is still mixed: 40% African, 50% European, and 10% Amerindian, but they likely grew up within visibly black communities. Such autosomal DNA studies, which measure total genetic contribution, continue to reveal differences between how individuals identify, which is usually based in family and close community, with genetic ancestry, which may relate to a distant past they know little about. Such DNA studies were conducted of students at a school in the poor periphery of Rio de Janeiro. It found that the multiracial "pardos" were genetically more than 80% European in ancestry. "The results of the tests of genomic ancestry are quite different from the self made estimates of European ancestry", say the researchers. The test results showed that the proportion of European genetic ancestry was higher than students expected. When questioned before the test, students who identified as "pardos", for example, identified as 1/3 European, 1/3 African and 1/3 Amerindian. On the other hand, students classified as "white" tended to overestimate their proportion of African and Amerindian genetic ancestry. Mulattoes make up at least 15% of the nation's population. 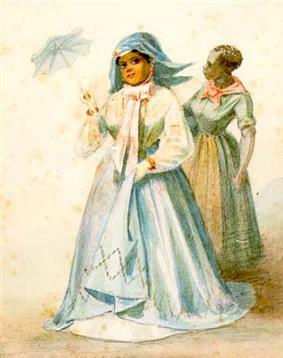 In Haitian history, such mixed-race people, known as free people of color in colonial times, gained some education and property before the Revolution. In some cases, their white fathers arranged for multiracial sons to be educated in France and join the military, giving them an advance economically. Free people of color gained some social capital and political power before the Revolution, were influential during the Revolution and since then. The people of color have retained their elite position, based on education and social capital, that is apparent in the political, economic and cultural hierarchy in present-day Haiti. Numerous leaders throughout Haiti's history have been people of color. Alexandre Pétion, born to a Haitian mother and a wealthy French father, was the first President of the Republic of Haiti. His father had arranged for his education. The struggle within Haiti between the people of color led by André Rigaud and the black Haitians led by Toussaint Louverture devolved into the War of the Knives. In the early period of independence, former slaves of majority-black ancestry led the government, as it was the many more numerous slaves who had done most of the fighting in the North, where the largest plantations were located, to achieve independence. Historians have documented sexual abuse of slave women during the colonial and post-revolutionary slavery times by white men in power: planters, their sons before marriage, overseers, etc., producing multiracial children born into slavery. But, Paul Heinegg has documented that most of the free people of color in the 1790–1810 censuses in the Upper South were descended from unions and marriages during the colonial period in Virginia between white women, who were free or indentured servants, and African or African-American men, servant, slave or free. In the early colonial years, working-class people lived and worked closely together, and slavery was not as much of a racial caste. Slave law had established that children in the colony took the status of their mothers. This meant that multi-racial children born to white women were born free. The colony required them to serve lengthy indentures if the woman was not married, but nonetheless, numerous individuals with African ancestry were born free, and formed more free families. Many of these free people of color became leaders in the African-American community; others continued to marry into the white community. His findings have been supported by DNA studies as well. Rapes occurred, and many slave women were forced to submit regularly to white males or suffer harsh consequences. However, slave girls often courted a sexual relationship with the master, or another male in the family, as a way of gaining distinction among the slaves, avoiding field work, and obtaining special jobs and other favored treatment for their mixed children (Reuter, 1970:129). Sexual contacts between the races also included prostitution, adventure, concubinage, and sometimes love. In rare instances, where free blacks were concerned, there was marriage (Bennett, 1962:243–68). Some wealthy planters, especially widowers or young men before they married, took women slaves as concubines, as did Virginia planter John Wayles, after being widowed three times. His daughter Martha Wayles, born to his first wife, married Thomas Jefferson, the future president. Wayles took Elizabeth Hemings, a mixed-race slave, as his concubine. The youngest of their six children, who were all three-quarters white and born into slavery, was Sally Hemings. These children were the half-siblings of Jefferson's wife Martha. Sally Hemings became the concubine of Jefferson several years after he was widowed. They had six children, who were seven-eighths white and born into slavery. Four survived to adulthood, and Jefferson arranged for their freedom, allowing two to "walk away" from Monticello when they became of age and freeing the youngest two sons in his will. Three of these Hemings children passed into white society as adults, and their children were accepted as white. Eston Hemings moved his family to Wisconsin to reduce risk of being kidnapped, and took the surname Jefferson to reflect his ancestry. His son John Wayles Jefferson ran a hotel in the 1850s. Accepted as white, he served as a colonel in the Union Army in the Civil War, later becoming a successful cotton broker in Memphis, Tennessee. Some mixed-race persons in the South became slave owners, and many who were accepted in the society supported the Confederacy during the Civil War. For example, William Ellison owned 60 slaves. 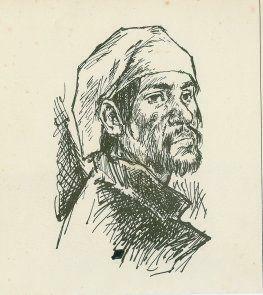 Andrew Durnford of New Orleans, which had a large population of free people of color, mostly of French descent and Catholic culture, was listed in the census as owning 77 slaves. In Louisiana free people of color constituted a third class between white colonists and the mass of slaves. Other multiracial people became Louisiana Native Guards. 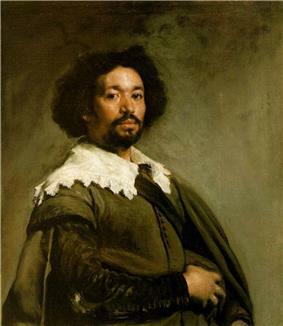 In early American history, the term mulatto was also used to refer to persons of Native American and European ancestry. Certain tribes of Indians of the Inocoplo family in Texas referred to themselves as "mulatto." At one time, Florida's laws declared that a person from any number of mixed ancestries would be legally defined as a mulatto, including White/Hispanic, Black/Indian, and just about any other mix as well. Mulatto was used as an official census racial category in the United States until 1930. (In the early 20th century, several southern states had adopted the one-drop rule as law, and southern Congressmen pressed the US Census Bureau to drop the mulatto category: they wanted all persons to be classified as "black" or "white".) At that time, the term was primarily applied as a category to persons of mixed African and European descent. During the colonial and early federal period, in the Southern colonies and states, it was sometimes applied persons of any mixed ethnicity, including Native American and European. During the early census years of the United States beginning in 1790, "mulatto" was applied to persons who were identifiably of mixed African-American and Native American ancestry. Mulatto was also used interchangeably with terms like "Turk", leading to ambiguity when referring to North Africans and Middle Easterners, who were of limited number in the colonies. In the 2000 United States Census, 6,171 Americans self-identified as having mulatto ancestry. Since then, multi-racial people have been allowed to identify as having more than one type of ethnic ancestry. The term "mulatto" was also used to refer to the children of whites who intermarried with South Asian indentured servants brought to the British American colonies by the East India Company. These were not numerous in the mainland colonies. But a daughter born to a South Asian father and Irish mother in Maryland in 1680 was classified as a "mulatto" and sold into slavery. Starting with Virginia in 1662, colonies adopted the principle of partus sequitur ventrem in slave law, which said that children in the colony were born into the status of their mother. Thus, children born to slave mothers were born into slavery, regardless of who their fathers were; children born to white mothers were free, even if mixed race. The term mulatto has fallen out of favor for general use in the United States, and is considered offensive by some. More socially acceptable terms for people of mixed race include biracial, multiracial, mixed-race, and multi-ethnic. ^ Corominas describes his doubts on the theory as follows: "[Mulato] does not derive from the Arab muwállad, 'acculturated foreigner' and sometimes 'mulatto' (see ‍ '​Mdí‍ '​), as Eguílaz would have it, since this word was pronounced 'moo-EL-led' in the Arabic of Spain. In the 19th century, Reinhart Dozy (Supplément aux Dictionnaires Arabes, Vol. II, Leyden, 1881, 841a) rejected this Arabic etymology, indicating the true one, supported by the Arabic nagîl, 'mulatto', derived from nagl, 'mule'." ^ In the Dominican Republic, the mulatto population has absorbed the Taíno Amerindians historically present in that country, based on a 1960 census that included colour categories such as white, black, yellow, and mulatto. Since then, racial components have been dropped from the Dominican census. Engseng Ho, an anthropologist, discusses the role of the muwallad in the region. The term muwallad, used primarily in reference to those of "mixed blood", is analyzed through ethnographic and textual information.